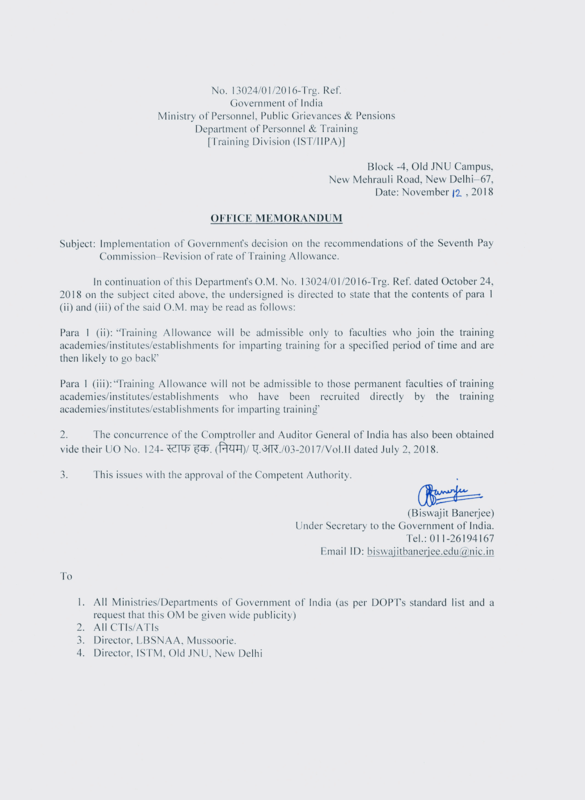 Subject: Implementation of Governments decision on the recommendations of the Seventh Pay Commission Revision of rate of Training Allowance. 2. 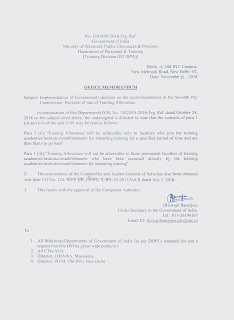 The concurrence of the Comptroller and Auditor General of India has also been obtained vide their UO No. l24- स्टाफ हक़ नियम ए. आर./0 3/-20l7/Vol.ll dated July 2, 2018.